From: SPCA of Tennessee in Brentwood, Tenn.
Beauford's story originally appeared on Shannon's blog, Why Not On A Tuesday. Beauford turned Shannon into a true dog person! I have never been much of a dog person per se. I always had dogs growing up, but they were always outside dogs and not really my dogs. I never had to worry whether they ate or bathed or got their shots—my parents took care of that. So, I never really got too attached to a pet and never really understood when other people did. One random day in November, I started looking around on petfinder.com, because the hubby and I were currently in the “Let’s get a dog!” phase. 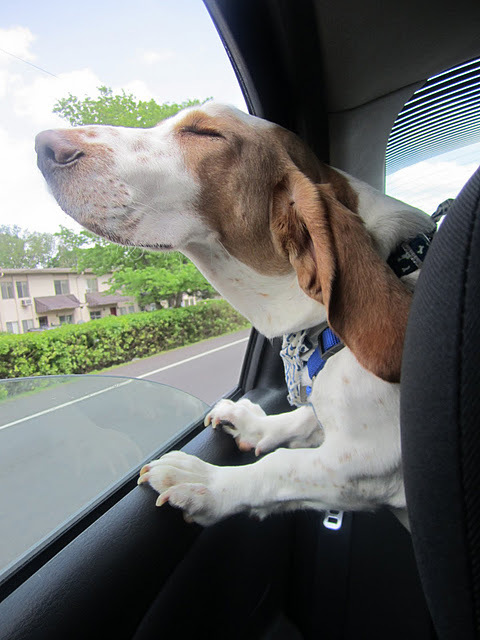 There he was—the cutest, sweetest looking, tan-and-white basset hound I had ever seen, named Beauford (pronounced "Buford"). As soon as I got home from work that day, I showed Adam Beauford’s profile. He immediately wanted to fill out an application for adoption, because just like me, he had a gut feeling that this was our dog. 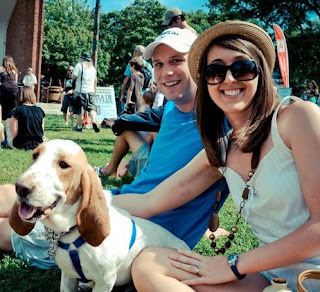 Come to find out, Beauford was an 11-month-old purebred basset hound who had been given up for adoption from a basset hound breeder in Alabama for unknown reasons. Our local SPCA had just received him and had just posted Beauford online. We were the very first ones to inquire about him. 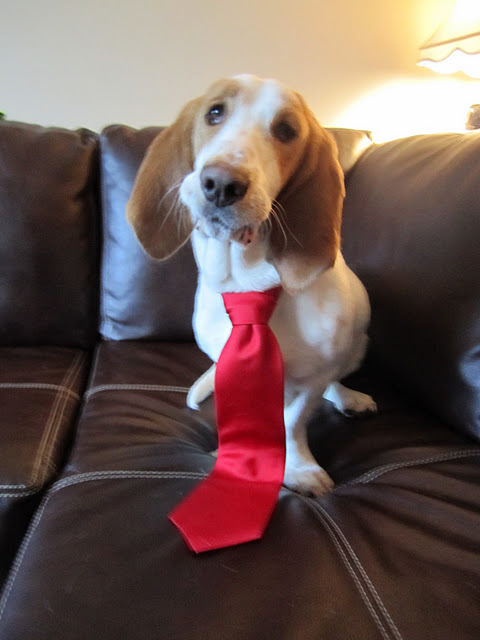 After meeting Beauford at his foster family’s home, we knew that he was the missing piece to our puzzle. He has been nothing but a joy and has added so much to our lives. I never envisioned myself getting so attached, but he is more than a pet; Beauford is a member of our family. I can’t image why anyone would have wanted to get rid of Beauford, but God had a plan. Not only did Beauford need us, but we needed him too. He has enriched our life by tenfold, and I can’t image life without him. 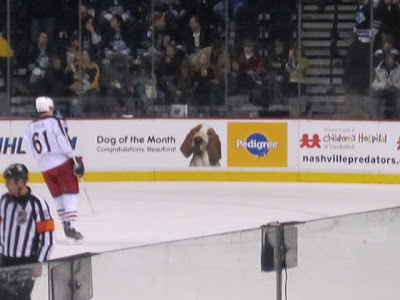 Beauford was named Nashville Predators (NHL)/Pedigree Dog of the Month in January. He was featured on the Predators’ dasherboard for the whole month. Wow, so glad lovable Beauford is in your lives. I love happy endings! Petfinder.com is awesome. Wow! Congratulations on finding Beauford! He waited a long time for you.